In this talk we examine the trend toward softwarization of the network, where software-defined infrastructure will play a central role in the design and operation of networks as well as in the creation of services and applications. We will explain how software-defined networks, network function virtualization, and cloud computing come together to provide a programmable network platform. We will also discuss the increasingly important role of monitoring, analytics, and learning in operating networks that are secure and reliable. Finally we will introduce the NSERC CREATE program on network softwarization, a new multi-university effort to prepare graduates with expertise in network softwarization. 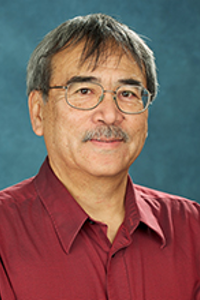 Professor Alberto Leon-Garcia is Distinguished Professor in Electrical and Computer Engineering at the University of Toronto. He is a Fellow of the Institute of Electronics an Electrical Engineering “For contributions to multiplexing and switching of integrated services traffic”. He is also a Fellow of the Engineering Institute of Canada and the American Association for the Advancement of Science. He has received the 2006 Thomas Eadie Medal from the Royal Society of Canada and the 2010 IEEE Canada A. G. L. McNaughton Gold Medal for his contributions to the area of communications. Professor Leon-Garcia is author of the leading textbooks: Probability and Random Processes for Electrical Engineering, and Communication Networks: Fundamental Concepts and Key Architecture. He was Scientific Director of the NSERC Strategic Network for Smart Applications on Virtual Infrastructures. ← Alberto Leon-Garcia, Ph. D.